The 24th IMTM (International Mediterranean Tourism Market) on 6-7 February 2018, will take place for the second year in a row in Pavilion #2 at Israel Trade Fairs & Convention Center in Tel Aviv which spans 6,000m². The 24th IMTM (International Mediterranean Tourism Market) on 6-7 February 2018, will take place for the second year in a row in Pavilion #2 at Israel Trade Fairs & Convention Center in Tel Aviv which spans 6,000m². 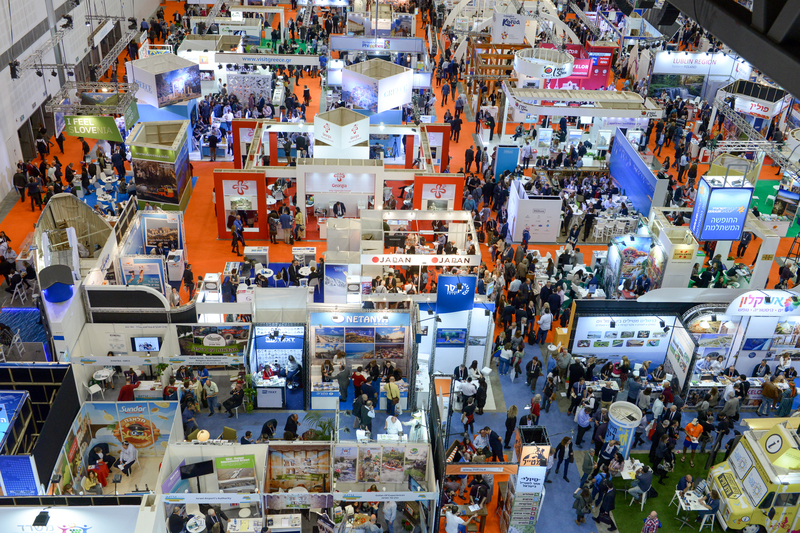 Organized by Ortra Ltd. and Israel Travel News Ltd. (publishers of Israel Travel News), the annual event continues to grow each year with additional exhibitors expected to partake in the next two-day professional tourism gathering. The annual event continues its cooperation with the Israel Ministry of Tourism and the Israel Hotel Association, and is sponsored by the Israel Incoming Tour Operators Association in Israel, Association for Tourism Tel Aviv-Jaffa, El Al, Travel Channel and Travel Agents Association in Israel. IMTM 2018 is expected to attract around 1,800 exhibitors from more than 50 countries and host over 400 booths, in addition to hosting thousands of trade visitors from abroad and approximately 27,000 visitors. A hosted buyers program is currently in the works and will be released within the next few weeks, in addition to a series of lectures and events organized alongside the Israel Ministry of Tourism. “We are honored to host IMTM, an event which holds great importance for the global tourism industry and the state of Israel,” says ITN Publisher & Editor-in-Chief Eyal Shmueli. “The event we staged in February was a triumphant success and both exhibitors and visitors felt the benefit of Pavilion #2’s space and advanced technology.” Among the many benefits offered, participants will once again have the opportunity to download an app that provides them with the IMTM program, the list of participants and details about them, and special benefits too, as well as the ability to keep up to date with notices throughout the event. It also features a digital map of the layout, for suppliers interested in booking space, as well as the option to order exhibition packages and graphic work, a networking platform for scheduling professional meetings and another for booking hotels at special rates for participants.